Early Decision II notifications will be released at 6:00 pm ET on Wednesday, February 6, 2019. The Emory University Admission staff have evaluated another strong year of Early Decision II (EDII) applicants. Our Admission Committee has worked thoughtfully to admit what we believe is a remarkable next step in building the Class of 2023. How will decisions be released? 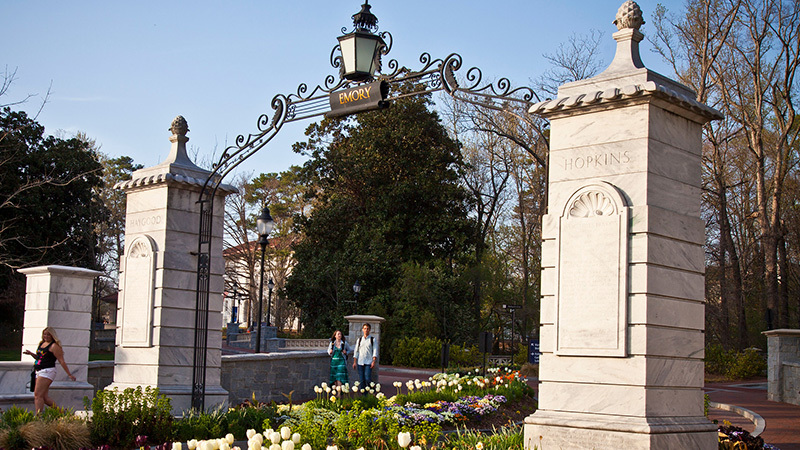 Decision notifications will be posted online through your Emory applicant portal (apply.emory.edu/status). At 6:00 pm ET on Wednesday, February 6, log in to receive your admission decision. Once logged in, (when available) at the top of the screen you will see a light yellow box with the title: Status Update. There will be a link to View Update, which is where you can see your online decision letter. If you applied EDII to both Emory College and Oxford College, you will have one decision letter with information about the decision for each college in it. Can I receive my admission decision notification in another format? Decision notifications are only released through the applicant portal. We do not send admission decisions via email, and we are unable to release decisions over the phone. But I heard decisions were released through OPUS? OPUS is still used for students who applied for need-based financial aid to review your financial aid package. What about need-based financial aid? If you are admitted and applied for need-based financial aid and met the financial aid deadlines, your award information will be available in the Financial Aid tile of your OPUS account 24-48 business hours after decision release. You will receive an email from the Office of Financial Aid when your award is available to view. If you have missing documentation, your award will not be available by this date. Missing items appear on the To Do’s list (in the Tasks tile) in OPUS. Required documents must be received by the Office of Financial Aid by February 22 in order to receive an estimated award prior to the March 1 enrollment deposit deadline. If you have any questions about financial aid, please contact the Office of Financial Aid directly at finaid@emory.edu or 404-727-6039. Why are decisions posted at 6:00 pm? We believe that such important news should be experienced in the context of the home and family. We also do not want students to receive admission news in the middle of the school day. We understand that this time does not work for all of our applicants, including many international students, but 6:00 pm ET is a time when the majority of our applicants are available and can be with loved ones. Don’t hesitate to connect with us by posting a comment to this blog, tweeting us @emoryadmission, or emailing us at admission@emory.edu.